Drum Expo 2013: Without question, Gon Bops instruments are the perfect blend of vintage craftmanship and innovative thinking. Since 1954, the company has pioneered several features and improvements that have forever changed Latin instruments − like the first teardrop crown with rounded counter hoop to protect the player's hands, a concept that is universally accepted today. Gon Bops was also the first company to build tunable hardware for congas and bongos in the US. In January 2010, Sabian Inc. announced the purchase of the inventory, intellectual property, patents and manufacturing equipment of Gon Bops. 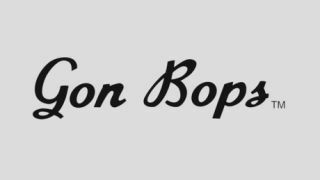 Today, Gon Bops manufactures an extensive line of percussion products and accessories including congas, bongos, timbales, cajon, bells and hand percussion instruments. You can view a range of Gon Bops products here. The overriding passion for the quality of the sound still runs strong. It is the sound − a sound steeped in tradition, the result of all-wood drum construction and a no-compromise approach to raw materials and craftsmanship - that continues to define the legendary Gon Bops reputation. For a free Gon Bops artists poster, follow this link. Designed with legendary Cuban Timbalero Orestes Vilato for classical Cuban Timbale sound, these fantastic instruments offer all of the authentic tone and design features Gon Bops is famous for. Click here to read about the Orestes Vilato Signature Timable. This beautifully and painstakingly hand-inlayed instrument is also one of the most versatile Cajons on the market. Click here to read about the Alex Acuna Special Edition Cajon. Gon Bops founder Mariano Bobadilla built only one line of drums special enough to carry his name. Click here to read about the Mariano Series Congas. For more information, visit the official company website, or connect with them via Twitter, Facebook and their YouTube channel.